A tooth extraction is the complete removal of a tooth (visible crown and root) from its socket inside the jawbone. Advancements in dentistry technology has greatly reduced the number of teeth that require tooth extraction. There are times when tooth extraction is recommended in order to improve the overall function and/or aesthetics of a person’s smile. A complete review of your medical and dental history (past and present), dental exam including a digital x-ray is necessary in order for your dentist to diagnose and identify your dental treatment options. Is tooth extraction the only viable option to resolve your pain and symptoms? Will the missing tooth space be visible when you smile or speak? Will the missing tooth require a replacement tooth to fill the space? If so, what are your teeth replacement options to fill the space? What are the repercussions (if any) if you elect to not replace missing tooth? Will the missing space impact adjacent and opposing teeth? Will the missing tooth impact your ability to chew and enjoy your favorite foods? Will the missing tooth impact your outward facial appearance and/or side profile? Will the missing tooth impact your speech? before your tooth is removed. Except in emergency situations will your dentist extract your tooth at the initial examination appointment. If patient elects extraction, select desired level of anesthesia. General anesthesia (be asleep during procedure). Requires an adult driver and referral to oral surgeon. It’s very important to follow aftercare instructions as discussed by your dentist to minimize the possibility of developing a dry socket. A dry socket is when a blood clot fails to form inside the tooth socket. Symptoms (typically 2-3 days following extraction) are often painful and require a dentist to place a medicated dressing inside the tooth socket. If you develop any painful symptoms, call Dentistry for the Entire Family right away at (763) 586-9988. A dentist is on call after hours. The following day, you’ll receive an aftercare call to see how you’re doing and answer any additional questions you may have. Healing time varies person to person and even tooth to tooth. Generally speaking, it takes approximately 8-12 weeks for the tooth socket to heal and fully close. Until that time, warm salt water rinse can be used to remove food debris from tooth socket. *Appointments available Monday- Friday during business hours. 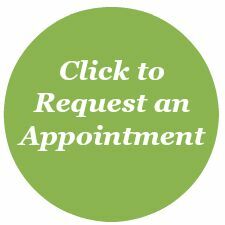 Call (763) 586-9988 to schedule or click button below to request an appointment online.